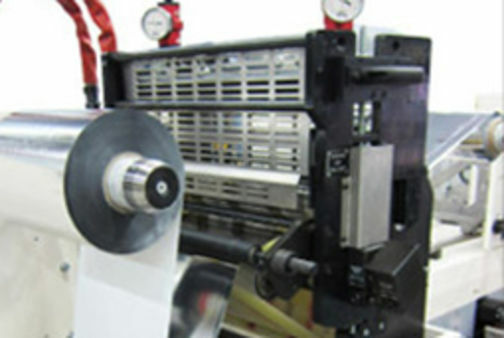 The rotary foil stamping system FLOWMAN™ is a set of oil heated hot foil stamping mandrel and impression cylinder. The system works with an external oil heating unit which achieves a higher mandrel temperature, allowing the stamping of more demanding hot foil designs. For quick change the heating system has a cooling function. For extremely fast job change, an externally pre-heated mandrel is exchanged with the next job’s tooling. Exact positioning is done tool-free. On top, of course, temperature control is set digitally and current temperature is displayed to the user.